Hear from Thomas Giffin, a high school Instructional Coach and Social Studies teacher at Johnston Schools in Johnston, IA. Thomas has blended his classroom for several years. At Johnston juniors and seniors have open campus and the blended classroom makes use of this by having days where students are not in the classroom with the teacher, but doing their work in the online portal. He will share why he went this route, the benefits for students, how he scaffolds his students to learn this way, what parents and students are saying and where his students go when they are not in the classroom. We would LOVE to share your story. If you would like to be interviewed for the Iowa Story of Online, Blended or Flipped Classrooms please contact us- Denise Krefting or Melissa Wicklund. Hear from North Polk Elementary Technology Coordinator and Teacher Ann Howe from North Polk, Iowa as she shares how she uses the Digital Citizenship content in AEA Learning Online's Student Personalized Learning System with her 2nd and 3rd graders. While much of the content available for students in the Student Personalized Learning System was create by AEA Learning Online instructional designers, we are fortunate to also have teachers creating content for students. It is our pleasure to share work done by Indianola Instructional Coach Kim Grissom and Newton high school Science teachers Christine Forsyth and Judy Nissley that you can also use with your students. Our thanks go out to Kim, Christine and Judy for their willingness to create content and share it with all Iowa students and teachers. 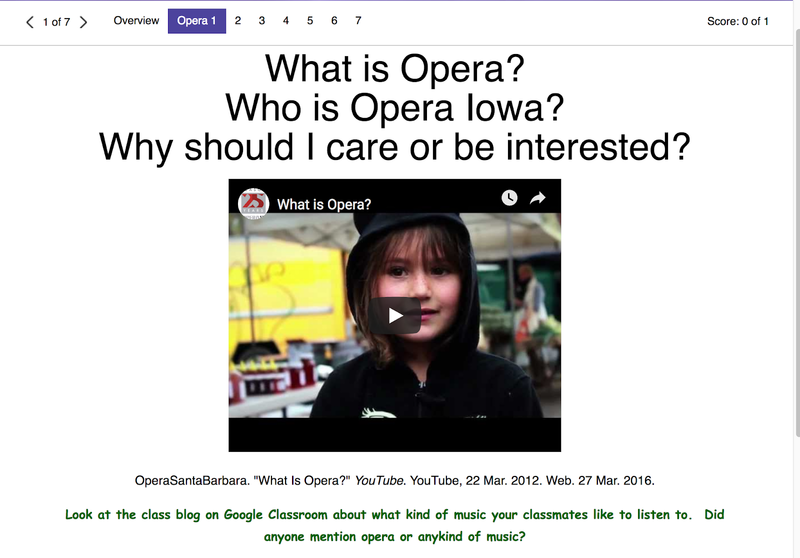 Other teachers at Indianola are also creating content that are used with their students. This content was developed to be district only content. You can also create content in the Student Personalized Learning System to be shared Statewide or used within your district. Contact Denise Krefting or Melissa Wicklund and we will help you through the process. Hear from Zack Kaczmarek, high school social studies and Sociology teacher at Indianola Schools in Indianola, IA as he talks about his blended learning classrooms. Zack will share why he went this route, what the benefits for students were, his expectations and future changes to his classroom. Hear from Shari Shaw and Brian Baker, Gifted and Talented teachers at Indianola's four Elementary Schools as they talk about how they use flipped learning to extend their time with their gifted and talented students. With weather issues causing schools to cancel school due to snow and extreme cold this article from the Des Moines Register is very timely. Estherville Lincoln Central schools in northern Iowa is handling snow and extreme cold school days virtually so they don't have to make them up. Something for other schools to consider. Read Des Moines Register article. The Blend Flip Cohort professional development from AEA Learning Online can help by training teachers to do this effectively. Learn more about this professional development here or contact AEA Learning Online at support@aealearningonline.org. Blending Flipping Your Classroom cohorts series is available for teachers this winter at Heartland AEA annd Keystone AEA. Course 1 "Blending/ Flipping Your Classroom 1: Introduction" the start of the four course series will begin January 23rd offered at Heartland in Johnston and January 24, offered at Keystone AEA. If you are interested in signing up or finding out more about the first course in the series offered at Heartland. This course is also offered in June in Green Hills AEA. Sign up coming soon! Congratulations to Christina Tait from Kuemper Catholic Middle School. Her Softchalk lesson, Opera Stew, was selected by Softchalk as a lesson of the week. This introduction to opera lesson teaches students what exactly opera is, some of the vocabulary and what goes on behind the scenes for the production. Each week Softchalk selects a stand out, top notch, lesson from SoftChalk Share and features it across their social media platforms. SoftChalk Share is an Open Education Resource (OER), learning object repository with thousands of free learning materials (used in blended learning environments, online learning environments, flipped classrooms and more...) created by educators just like the ones listed below. These lessons are interactive, engaging and cover a wide variety of subjects. Through these, you can see the endless possibilities SoftChalk has to offer and learn something new in the process. Educators in Iowa are able to obtain Softchalk from AEA Learning Online at no additional cost. If you are interested please contact us Denise Krefting, Evan Abbey or Melissa Wicklund. You can learn more about best practices of using this tool in our Blending Flipping Cohort course 3. Learn more. Just added to the Student Personalized Learning System (http://learning.aeak12online.org/) and available in AEA Learning Online's Moodle server for download into your LMS: Success Stories, Insights by African American Males: Workbook. "Success Stories Insights by African American Men" is an inspirational collection of stories by 19 African American Men. Four are current college students from urban America and four are former student athletes and alumni of the NFL, Chris Ward, Steven Holden, Michael Montgomery and Reginald Grant. The collection includes views from a wide range of occupations, actors, writers, law enforcement, business professionals and much more. With this workbook, students can read interesting stories and improve academic skills, including critical thinking (extraction of facts from each story and pre-writing organization). Students can compare their lives to the stories in the text and develop essays. This is accomplished by reading the text and using the tools after each story and in the back of the text. “African American males want the same things as everyone else, a family, a job an education, the opportunity to live the American dream. “ J. Everett Pearsall, Executive Director of the National Alliance of African American Athletes. I, nor most African American males don’t want any handouts or hand me downs, just the opportunity to compete on a level playing field. But, being an African American male in American is a unique experience. No matter your background the examples of perseverance, determination and focus are a roadmap for success. Here are a few of our stories, enjoy. You can access this module in the Student Personalized Learning System by searching for it or choosing the category Counseling or At Risk. Because it is an elective, students can also search for and access the content themselves. If you have a Learning Management System, you can look at the content in our Moodle Server through this link and download the back-up from the course to be uploaded into your LMS. A team of students from Waukee High School’s Aspiring Professional Experience Program (APEX) have created a personalized learning module on the career of a Pharmacist. 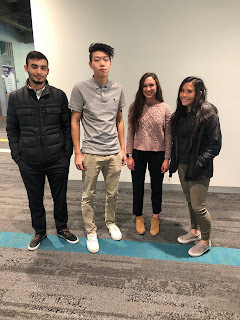 The students who were a part of this project are (L to R) Tawfeeq Alimami, Chason Yan, Emma Shepard, and group lead, Mikayla Schneider. These students are enrolled in the Exploration of Health Sciences and Medicine class offered at APEX. This module is mainly designed for High School students. AEA Learning Online is a program where students can use modules to learn more about a specific topic. AEA offers a countless number of topics and information provided for a variety of different learning levels and grades. This program is a great tool to use to help assist your learning. AEA Learning Online thanks these students and their teacher Cindy Snell for their hard work on these modules. To learn more about these modules, you can visit http://learning.aeak12online.org/ click on catalog then Employability and Careers: Pharmacy and the tab Statewide or enter the criteria in the search. You can also have your students create content in our system. If you are interested in having students create content, teachers creating content or using the system please contact Denise Krefting, Melissa Wicklund or Craig Mohr. Blending Flipping Your Classroom cohorts series is available for teachers this winter at Heartland AEA. Course 1 "Blending/ Flipping Your Classroom 1: Introduction" the start of the four course series will begin in February offered at Heartland in Johnston and will be offered in June at Grant Wood and beginning in January for Keystone AEA. Sign up coming soon for these sessions. If you are interested in signing up or finding out more about the first course in the series offered at Heartland. This course will also be offered at Keystone AEA and Green Hillis (June). Sign up coming.